I feel that people have a misguided sense, or use of the word awakening… or maybe I just look at it a different way. I feel that what people are presently going through is what I call a “quickening,” an acceleration process in recognizing what is not life, or contributing to life. Denials are being exposed and the truth revealed, but that doesn’t mean that people are awaking to end their own denials and begin to live life, and not the illusion as has been the case. People get caught up in the New Age mumbo jumbo and hype, and talk of awakening and ascension, not unlike a born again Christian that claims to be “saved,” and yet they are oblivious to what truth, love and life are. 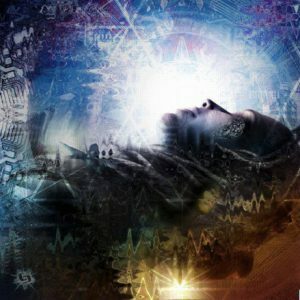 They are still disconnected from recognizing the Divine aspects of their Physical Being, or how denial of these are being reflected in their experiences and reality. Yes, their consciousness is stirring, but by no means are they wake as they claim to be. Don’t get me wrong, I’m far from being fully awakened, but I have done a lot of personal inner work and healing on ending my denials that is being reflected in my outer reality. What I see people going through is what I went through years ago, “Been there done that.” While they are becoming aware of the issues in their OUTER reality, or the blatant lies and denials of others, they are still oblivious as to how to heal their personal inner issues by recognizing and choosing to end their denials. They wear masks to hide the truth and act the role that their altered ego ignorantly believes will make them happy. This entry was posted in Denial, Fear - Terror, Feelings - Emotions, Imprint-programs-beliefs, Life - Death, Love - Conditional, Love - Unconditional, Personal, Self-Empowerment, Society - Culture, Soul (Will) - Intuition-feelings-emotions, Spirit - (Mind) Thoughts - ideas and tagged awakening, quickening by johnrieger. Bookmark the permalink.